In the fast-paced reality we live in today fewer and fewer people are having enough time and energy to dedicate to a consistent and quality apparel shopping in brick-and-mortar stores. Still, the desire to look beautiful and fashionable remains, especially among the younger population, and this is where ecommerce comes to rescue. 2018 has become a booming year for the beauty and fashion industry in general. Globally, this can be explained by the increased buying power of the target audience. Yet the equal share of such growth can be contributed to the eventual recognition by brands worldwide how important it is to go digital. At the moment, all the beauty fashion brands, from luxury ones like Balenciaga, Marc Jacobs, Vivienne Westwood, Channel, etc., to the mass market (Magno, H&M, Zara) have firmly established their online presence via webstores and social network accounts. In their turn, the multi-brand online retailers or aggregators, like Asos, Farfetched, Beauty Bay, etc., who have dominated the market before, have admitted the importance of a unique and uniform store concept, comprehensive marketing strategy, social network engagement, and influencer marketing and are now successfully bringing it to life. As you can see, it is an exciting time for beauty and fashion ecommerce and golden chances for an apparel merchant of any type and scale. Yet, in order to seize the right opportunity, a retailer must have a holistic view of the worldwide digital environment and traffic dynamics of the fashion e-commerce industry at the moment. Over 2018, the average revenue per visitor has grown by more than one third, PC and mobile respectively. The expected spikes in conversions happened around the time of major sales like Back to School, Black Monday & Cyber Friday and Christmas, and during the rest of the year, the revenues were steadily larger. This piece of statistics confirms what was mentioned in the opening paragraph – the significance of the beauty and fashion industry for the modern economy worldwide and the importance of online presence for brands large and small. Statistics indicate that more than half of fashion sites visitors accessed them via mobile devices (55% globally, with 62% in the US, 60% – in Canada and 67% – in Great Britain); at the same time, desktop traffic is slowly but surely decreases (45% globally, with 38% in the US, 40% – in Canada and 33% – Great Britain). However, the average order value still remains larger for the desktops – globally mobile AOV is 86% of the desktop, although the gap between them is rather narrow and soon expected disappear. This indicates that the mobile and desktop traffic conversion rates are, for the moment, roughly equal, yet it is undeniable that the mobile will take the leading position in the foreseeable future. Despite the positive tendencies described above, the percentage of cart abandonment for beauty and fashion ecommerce still remains unsatisfactory high – around 70% throughout 2018. And even though the share of mobile traffic has noticeably grown, the average mobile shopping session stayed of the same length – 165 seconds, which is still approximately 80 seconds less than the average desktop session, which for 2018 remained around 240 seconds. This data confirms that the issue of customer retention and cart abandonment have remained and will need to be dealt with by business owners in 2019. 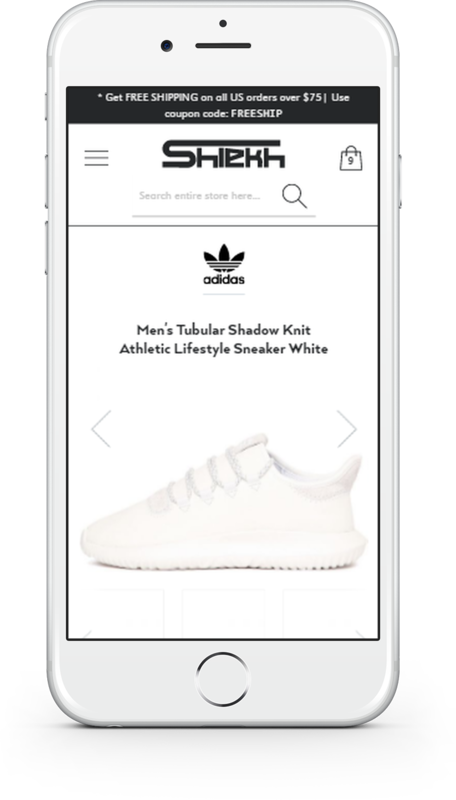 Mobile-friendly webstore is not a pleasant addition or the benevolent initiative of the merchant – this is what the visitors naturally expect. 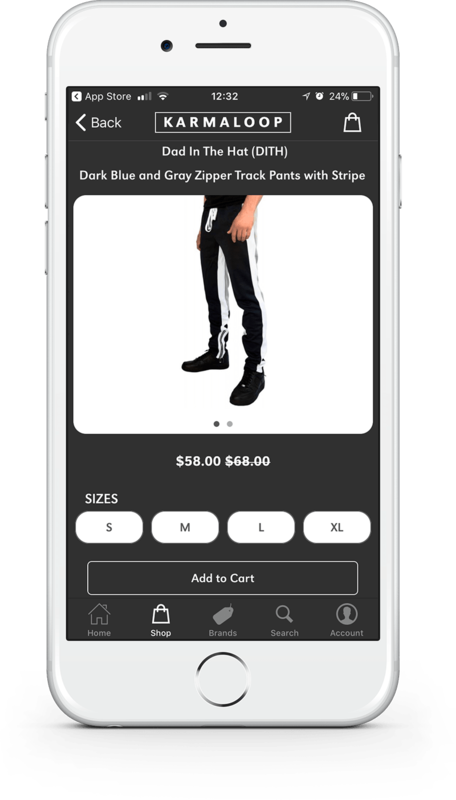 Just think about it – since at least half of your potential customers access the store from their mobile devices, the shop not optimized for mobile could be losing half of its clients. Moreover, mobile-responsiveness of a webstore is a valuable search engine optimization asset. For instance, Google used to index a desktop version of the website first and the mobile came second; yet since recently it receives more than a half of its traffic from mobile devices, it altered its policy, indexing the mobile versions of webstores at the first place. Since the target audience of the most apparel online stores are people not older than in their forties, who en masse have mobile phones, the aspect of mobile-friendliness for online fashion and beauty stores is extremely acute. Here are the basic guidelines for improving your store mobile-responsiveness. The marketplaces of online store designs offer a wide selection of clear, modern-looking and functional themes that are responsive to the variety of PC, tablets and mobile screen sizes. The modern mobile user expects the webpage to load in the matter of a couple of seconds, and if it does not, they will, in most cases, leave the page and click on the similar one in the search results. That is why speed optimization matters a lot for Google rankings and is especially valuable for mobile versions. Based on what ecommerce platform your store runs on, you can most certainly find the proper extension for speed optimization. To learn more about speed optimization for Magento webstore, click here. A mobile screen is small and has high resolution, so if the desktop scale of the page remains, the visitor will have a really hard time seeing anything. That is why it is necessary to optimize text and visual contents size for a mobile screen. 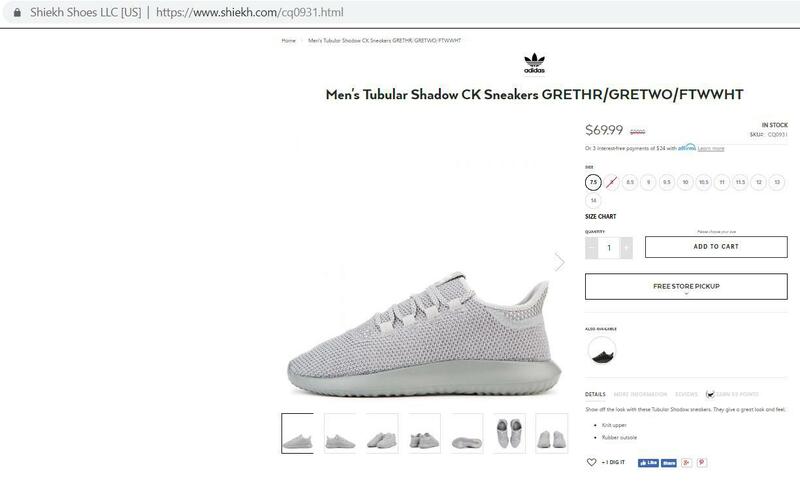 Shiekh Shoes is a great example of such optimization. Having your personal mobile app will greatly upscale your reputation and credibility, as well as bring comfortable shopping experience to your customers. Although this step requires certain money and effort investments, it will before long prove its cost-effectivity. 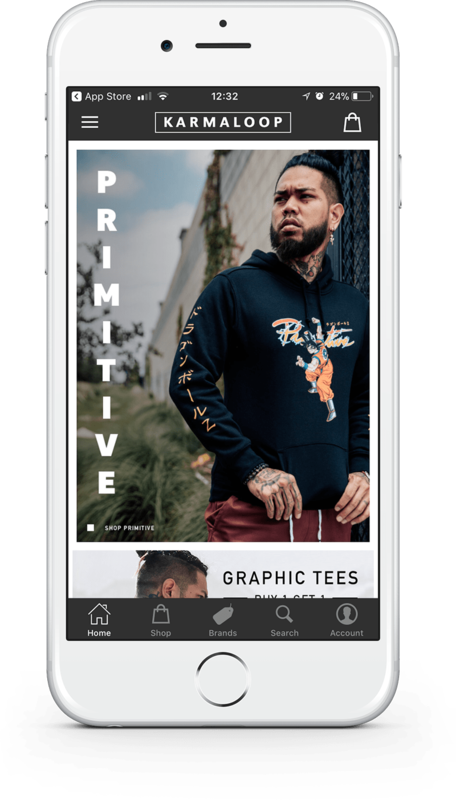 Learn about the mobile app we developed for Karmaloop – a streetwear online retailer from Canada. Today’s tech-savvy reality encourages every store owner to integrate new features turning their websites into entertaining and engaging resources with interactive design. Interactive design can be defined as a complex of all website elements that facilitate interactions between users and products. behavior defines the user’s and products’ reactions. An interactive website is more likely to grab customer’s attention, as it does not only sell products but gives the consumers the opportunity to contribute to creating a personalized experience. Interactivity can be realized through microinteractions, chatbots, and augmented reality. hover zoom in animation on the catalog page. Purchasing decision is still quite a tricky and unpredictable process. Even if the buyer thoroughly studied your product catalog, chose the desired items and added them to the cart, the chance that he would not complete the purchase is pretty high. However, thanks to modern technology, this stage of the purchasing process can be significantly improved. A chatbot is among such useful tools that can assist the client during his shopping journey. Chatbots are automated programs, which communicate with website visitors via chat. The best ones are able to constantly learn and improve through customers’ answers analysis. As unanswered customer questions are the main reason for cart abandonment, the chat bot’s assistance is of critical importance. The purchase process in e-commerce goes through several stages, and for the shopper, every stage can cause a set of questions. That way or another, the merchant must receive certain information from the buyer. But the more information he needs, the more likely for the customer to get confused. And this confusion can lead directly to cart abandonment. The chatbot is extremely helpful in such cases. If the buyer faces some questions during the checkout, he often has nobody to answer. By constant contact with a customer, chatbot is the first who knows when a new issue appears. As a store owner, you might never know your clients’ biggest pain if they have nobody to talk to and get the answers. Chatbot can help business owners to identify problems their buyers face. Chatbot can help customers select products based on their earlier buying experience. They can also inform your clients about discounts or sales, which encourages customers to keep on shopping from your store. Augmented reality technology breaks the barriers between the real and virtual worlds. One of the main obstacles that prevent customers from buying online is the inability to personally see or touch the product, try or test it in the real environment. Augmented reality gives new opportunities to intercommunicate both with brands and commodities. At the moment some online shops allow visitors to virtually try on clothing or makeup. Just take a selfie and the software will dress you up or put on your desired makeup. Take a picture of your bedroom and use the image as a background to place a new couch or a table to clearly see how it is going to look in your exact home. One more advantage of AR technology is that the consumers do not need to buy new expensive hardware to experience it. The idea of “try-before-you-buy” seems to be pretty attractive as most consumers prefer using the products before the purchase. In the future e-commerce will definitely employ the haptic touch screens technology to let the customer touch and feel the material of the product. In this article, you learned about the recent tendencies in apparel ecommerce and got to know the cutting-edge ecommerce technologies for the fashion industry. I hope this information was useful and inspired you to improve and perfect. If you have any questions or comments, feel free to leave them down below.